WBT-0114 Cu (4 pk kit) - $175.99 ea. WBT-0114 Ag (4 pk kit) - $275.99 ea. 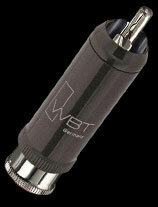 The WBT-0114 series is available in two variants: The WBT-0114 Cu (copper), and the WBT-0114 Ag (silver). 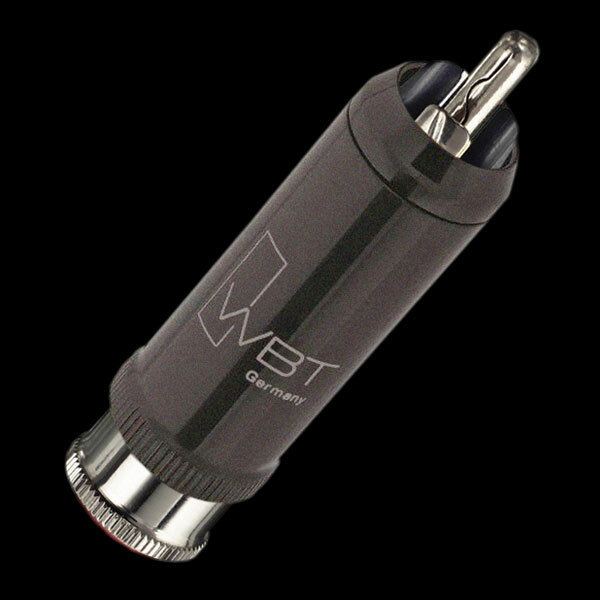 This series replaces the popular WBT-0144 'classic' connector, and is in better keeping with the proven low mass design concept that results in outstanding sound quality. 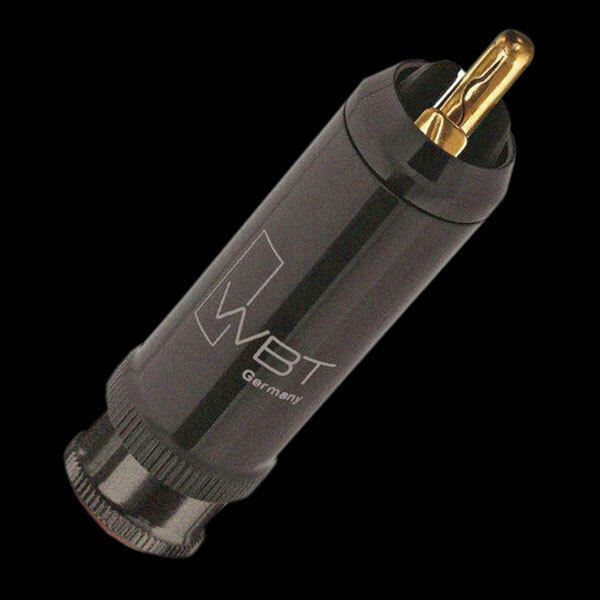 The WBT-0114 Ag (silver) or WBT-0114 Cu (gold plated copper) Nextgen RCA Plugs are also a lower cost alternative to the WBT-0102 and WBT-0152 NextGen RCA's. These connectors use Ultramid® material for the RCA body (vs metal body for the WBT-0102, and WBT-0152). The barrel is made from brass, and finished in an attractive matte black finish. The contact elements are made from direct gold plated high-purity SOLID copper (WBT-0114 Cu), or high-purity (unplated) SOLID silver (WBT-0114 Ag), in order to ensure the most pristine, accurate signal transmission. The RCA 'locking' mechanism works in a similar way as a chuck on a drill, firmly clamping the outer ground/return contact around the circumference of the RCA socket. This high clamping pressure not only assures a secure connection but also minimizes electrical contact resistance. Also, size variation between various manufacturers' outer socket contact is compensated for, thereby ensuring a perfect fit... every time. The central pin is slotted and ideally formed to offer a firm, yet elastic contact which ensures lasting and reliable electrical connection with minimal transition resistance. The insulation within the connector is made from heat resistant Fluoropolymer, a distinct advantage when soldering connection cables, particularly when working with the higher soldering temperatures of lead-free solder. WBT recommends the surface friendly WBT Solder. When combined with WBT RCA sockets, the contacts are positioned in such a way that the outer conductor is in contact before the inner conductor, thereby preventing undesirable or even harmful voltage peaks. A Torx screw provides reliable cable strain relief on your interconnect cable. Each kit contains 4 connectors (two red and two white). The WBT-0114 RCA's accept cable diameters up to 9mm.